Driven by technological innovation and economies of scale, the installed price of solar photovoltaics has plummeted in recent years. Combined with federal and state incentives, and creative financing models, these low prices have ushered affordable solar power into the mainstream. In 2014, 6.2 gigawatts of solar PV were installed in the U.S. alone, 20 times the amount installed in 2008. Meanwhile, residential battery storage, a mainstay in the early days of solar PV, has largely been relegated to the fringe as an expensive, rarely-used backup. Most end-users now connect to the electric grid, relying on utilities to provide power when their PV systems don’t. These users employ the grid as a robust, always-available “battery” to which they enjoy free access, obviating the need to pay for their own storage solutions. But that paradigm may be about to change. Anticipating fundamental revisions to residential rate structures, Enphase, the PV microinverter market leader, is preparing to launch a new AC-battery residential storage solution in 2016. Should projected rate changes come to pass, the Enphase AC Battery system, combined with solar PV, could present homeowners with a compelling economic proposition. With over 8 million microinverters deployed worldwide, Enphase may be in a unique position to bring residential battery storage to the masses. While the residential energy storage market has yet to blossom, the utility-scale market is booming. U.S. energy storage capacity grew by 40 percent from 2013 to 2014, with 90 percent of that new capacity deployed in front of the meter (i.e., utility-scale). Storage in all markets combined is expected to grow another 300 percent in 2015. Residential and commercial and industrial (C&I) storage may represent just 10 percent of the overall market today, but a recent GTM research report predicts behind-the-meter storage (residential, commercial, education, military or nonprofit) will account for 45 percent of the market by 2019. Because of differences in rate structures between the C&I and residential markets, and what’s known as “demand charges,” the C&I storage market currently makes up the lion’s share of non-utility-scale energy storage. In addition to paying for the quantity of energy they use, just as residential customers do, C&I customers also pay demand charges that are based on the 15-minute period in which the customer uses the most power in a given month. Demand charges can make up 30, 50 or even 70 percent of a company’s electricity bill and run into many thousands of dollars per month. “Peak shaving,” i.e. charging a battery storage system when energy is cheap (or free with solar PV) and then discharging the battery when demand is at its peak in order to minimize steep demand charges, is a key economic driver for C&I energy storage. The value proposition for residential energy storage today is where solar PV was six or seven years ago, and the factors that led PV to mass affordability will likely have a similar effect on storage. Battery costs have declined by 80 percent in the past decade, and dozens of startup companies are now competing to develop safer, more efficient and less expensive battery chemistries. The economies of scale introduced by Tesla’s Powerwall battery system and its Gigafactory battery manufacturing plant in Nevada will place additional downward pressure on residential energy storage costs. Incentives like the federal ITC (at least through 2016) and California’s SGIP program (at least through 2019) will further sweeten the deal for potential purchasers of home-based energy storage. But the key drivers that will make the economic case for residential energy storage are higher energy prices and changes to residential rate structures. “Everything is signaled through pricing,” notes Greg Wolfson, director of storage products at Enphase. “At the end of the day, customers don’t want a storage system. They want to manage their bill.” High energy prices incentivize the purchase of both solar PV and energy storage systems. When prices are high, homeowners save money when they use either direct PV power or stored excess PV power instead of expensive utility-generated power. While net energy metering (NEM) has helped to build the economic case for PV, the opposite is true for storage. It is the demise of NEM that will encourage the adoption of residential energy storage. Some utilities are starting to propose TOU rate structures (Southern California Edison) and even demand charges (Arizona’s SRP utility) for their residential customers. All of these changes in rate policy – a weakening of NEM, adoption of TOU rates or the institution of residential demand charges – bolster the economic case for residential storage. Energy prices and rate structures that already exist in other countries portend the economic viability of home energy storage sooner rather than later. “If you live in Australia, or Hawaii, or Germany, or Japan or the Netherlands or the UK … or potentially in Arizona, where demand charges are being proposed or implemented, then [residential energy storage] does make economic sense today,” notes Wolfson. Other companies smell blood in the water and are introducing their own residential energy storage solutions. JuiceBox Energy installed its first 8.6 kW Lithium-ion, AC coupled system in a California home earlier this year. Next year, SolarEdge will offer a DC coupled solution that combines a Tesla Powerwall battery with a SolarEdge inverter. Both the JuiceBox and SolarEdge systems enable islanding, allowing the PV and storage systems to power the home even when the grid goes down. The Enphase system must be connected to the grid, and cannot be used as a grid backup. Neither Enphase nor SolarEdge has released pricing information for their storage offerings, but the $3,000 cost of the 7 kW Tesla Powerwall battery (around $7,250 installed with an inverter) might offer a clue. 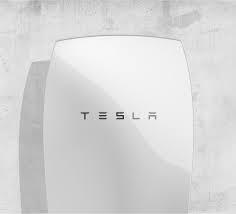 Tesla’s Elon Musk suggests he will be able to produce Powerwall batteries at scale for $250 per kilowatt, putting further downward pressure on new storage system prices. Software like GELI’s, used to optimize the economics of storage systems, will be available in the residential market and may add a bit to system cost. The typical homeowner’s relationship to electricity has been to flip the switch and pay the monthly bill. In the near future, the consumer’s relationship to electricity – where it comes from, what it costs and why – will become much more intimate. When customers realize they can save money by generating and storing their own renewable energy, and use software to determine when it is most advantageous to use it, then the market for residential energy storage will truly come alive. Max Bloom is a Renewable Energy Marketing Communications Director based in the San Francisco Bay Area.